I am BEYOND thrilled right now. 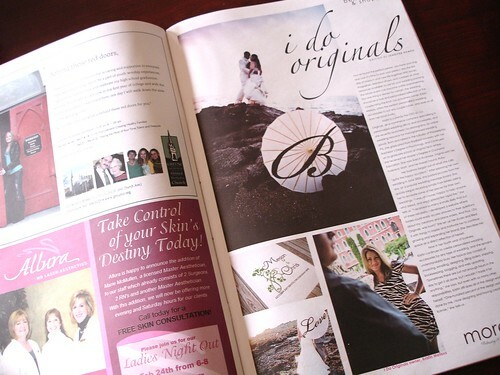 In the new issue of Bella Magazine is a three page editorial feature all about I Do Originals! 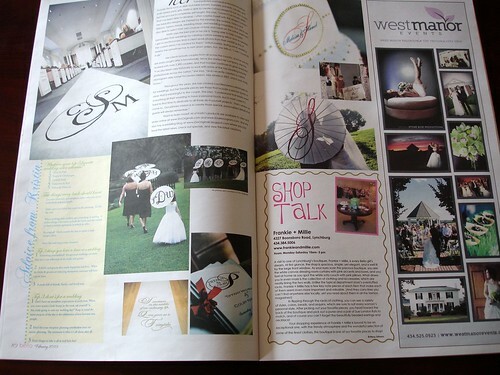 The article is beautifully written by Jennifer Romeo and there's also an advice section from yours truly. I am flattered and thrilled to be considered an expert in the field and I hope lots of Brides-to-Be who read the article are able to gain valuable advice. Stay tuned as I'll be sharing the full article tomorrow! Congratulations Kristin! The article looks great! Congrats! I read it today. I was actually featured on the blogger page and I am BLOWN away, who would have known! Kristen the article looks fab! Congrats on the wonderful press you get! Thanks everyone! Jeana I saw your blog listed and was going to contact you to let you know but I figured you probably had a lot of people pointing it out to you :) Congratulations!